A clean cooking grate prevents yesterday’s steak dinner from tainting today’s carefully seasoned and delicately flavored fish and veggies. 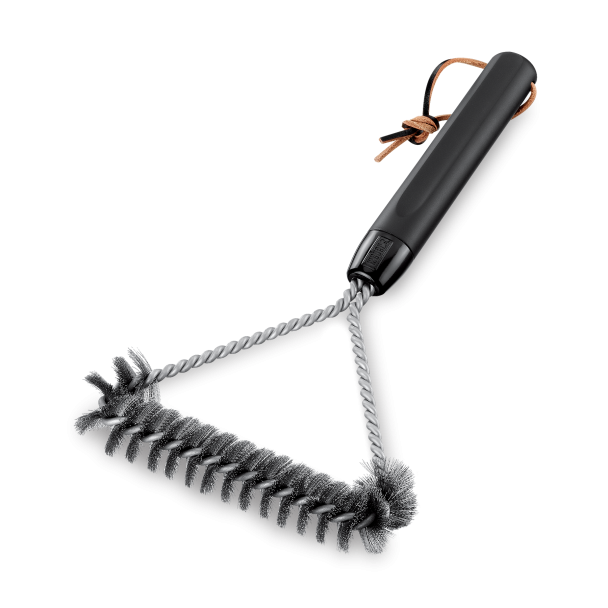 Use the Premium Grill Brush to scrape your cooking grates after each use so that each meal is as delicious as the next. 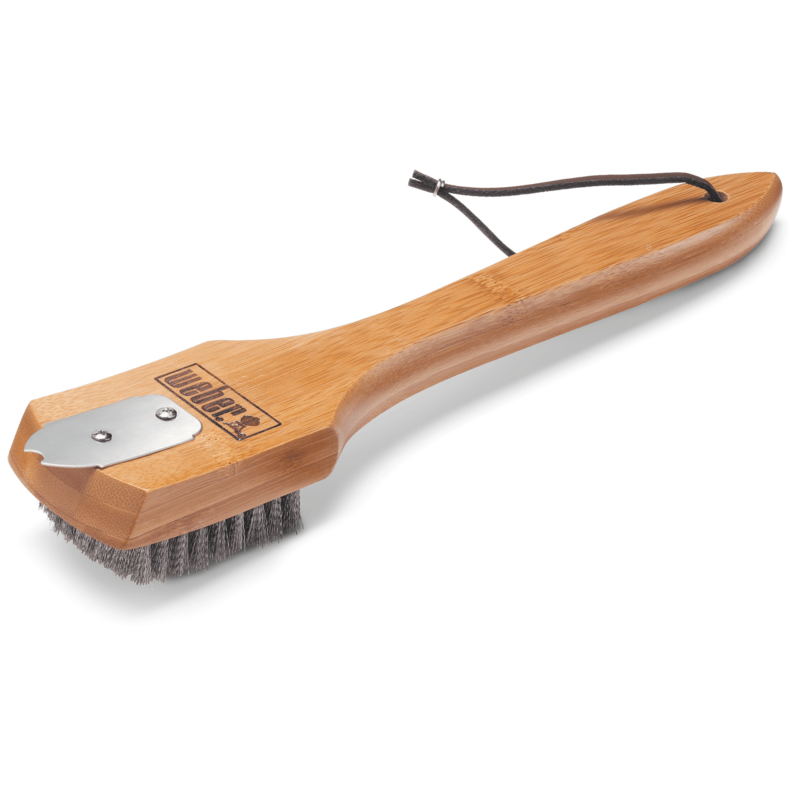 Premium Grill Brush is rated 4.8 out of 5 by 5. 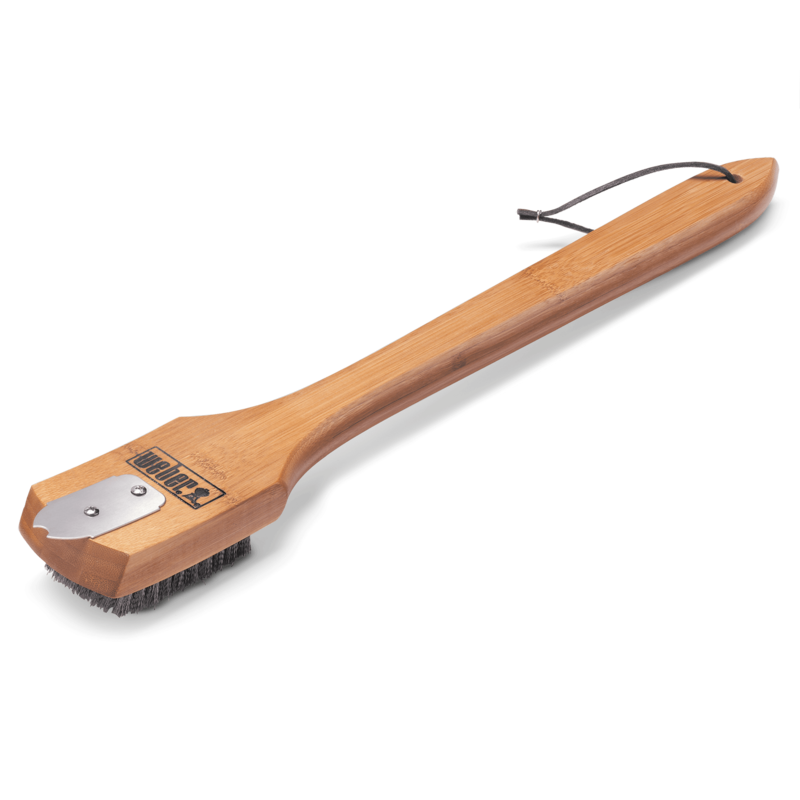 Rated 4 out of 5 by deckeda from fit 'n finish We don't often think about how "nice" a grill brush is, but this looks and feels like a premium product. 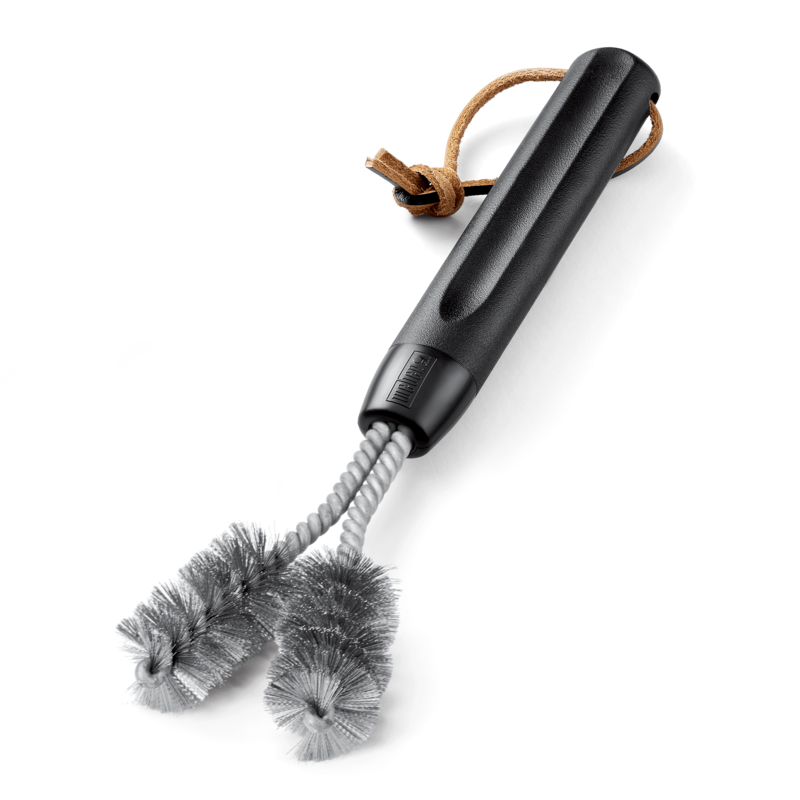 The way the wood is finished, the brush and how it attaches is all just very nice. 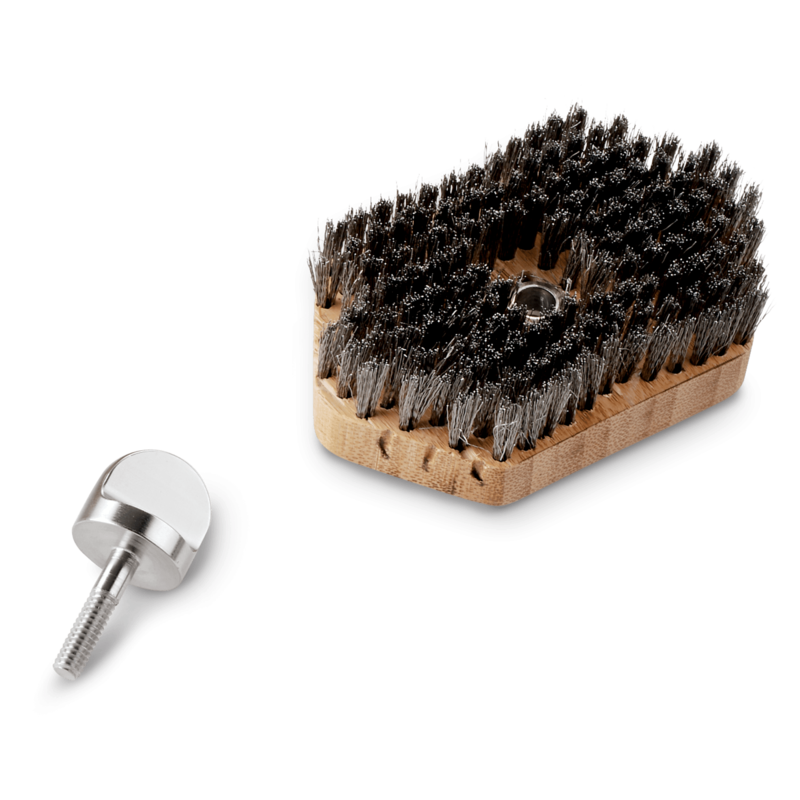 Of course, the replaceable brush head is what sets this sort of grill brush apart from so many throwaway designs. So take care of that wood, folks! My only criticism is that the straight-bar design of the handle makes little sense, since the grill grate will always be far below the height of your hand. Wood can be angled or even bent, so Weber, consider it. 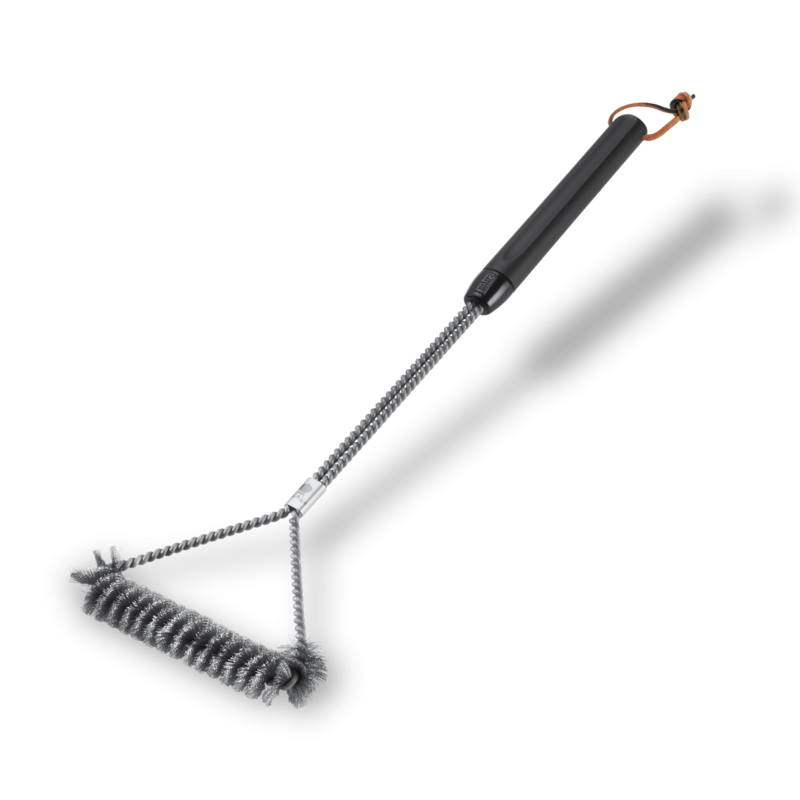 Rated 5 out of 5 by whiteshoes from AWESOME PRODUCT Works Awesome, Makes clean up simple to do, let the kettle get up to temp and scrape the grate and your ready to go. I like the fact the cleaning head can be replaced also. Awesome product, Thanks Again Weber. 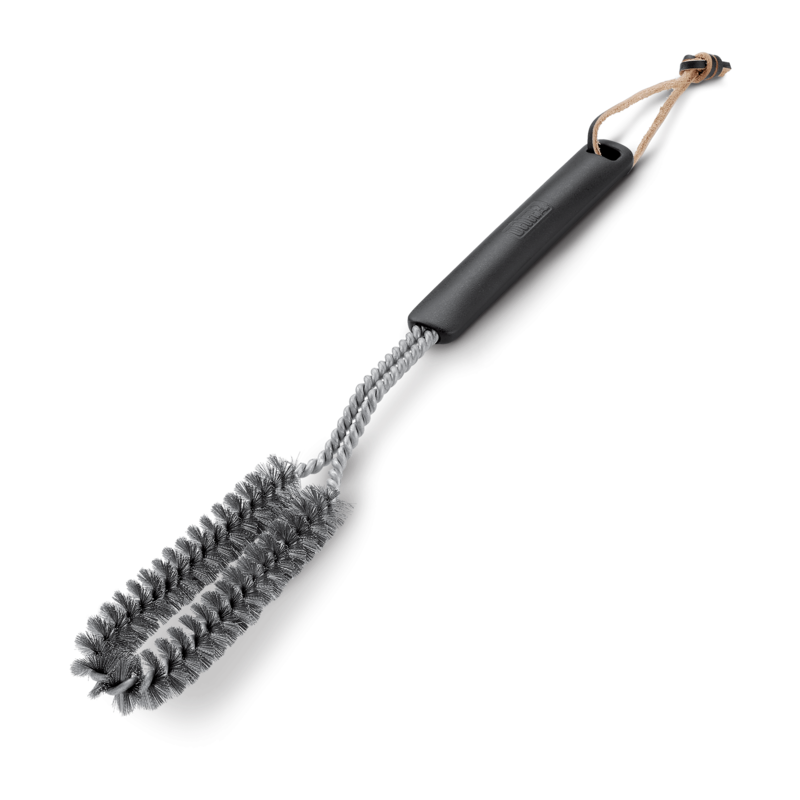 Rated 5 out of 5 by Randall A. Smith from Weber Premium Grill Brush I'm very happy with this grill brush, the handle length is perfect, the brush does not deposit tiny brass shavings on the grill grates, and the head is interchangeable. Perfect.